This is not The Black Hole, Felton and Christina’s monthly underground rave. Instead, this past October the couple hosted a Fundraver to benefit those affected by Hurricane Maria. In total the event raised $2,600 for Friends of Puerto Rico, a non-profit devoted to strengthening communities through economic sustainability, while promoting entrepreneurship through art, cultural and educational exchanges. Resident Advisor (RA), an online electronic music magazine and community platform, also donated 50% of their booking fees to the cause. 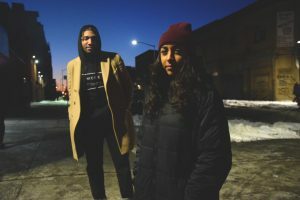 Together, Christina and Felton are Alkhemy, the Brooklyn-based collective whose primary mission is to highlight diversity within the underground techno community. After noticing that the majority of fundraiser parties supporting Puerto Rico were comprised of white DJs, the couple wanted to host an event that also gave voice to local talent of color. Fourteen DJs went back-to-back for seven hours in a hidden downstairs lounge, ten of whom were DJs of color. Each had thirty minutes to shine during this intense musical showdown. Nearly the entire underground community was in attendance, showing support and dancing into the early morning in Bushwick, Brooklyn. Having been to The Black Hole a month before, I knew what to expect: intricate lighting schemes flashing to the beat, a pristine sound system that wouldn’t damage my ears, and fog so thick it swallowed me up while pummeling techno shook my core. Their raves are held in secret locations, usually inconspicuous warehouses where the couple is free to create. Alkhemy appoints DJs whose track selections are always an experimental compilation of fresh sounds, so no Black Hole is ever quite the same. This is what it means to be underground, and Christina and Felton work hard to preserve that authenticity. Their parties are notorious for having no frills — no flashy decor, no vendors, no dress code. People are there for the music. 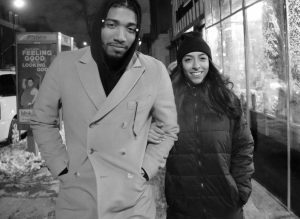 When the couple isn’t organizing raves, they’re commuting from Bushwick to Manhattan to work their “normal” jobs. As a digital producer at an advertising agency, Christina is attuned to curating art and managing timelines. After they both brainstorm ideas together, Christina works with the designer, overseeing the communication whenever there’s changes before the finished product. Whether they are for The Black Hole or another showcase that Alkhemy has produced, the flyers are used as an opportunity to show everyone who they are. By day Felton works in public relations for a luxury menswear company, but at night he is a distinguished DJ known as Xiorro. The name comes from Marcos Xiorro, a nineteenth century African slave who attempted to overthrow plantation owners and the Spanish government in Puerto Rico. 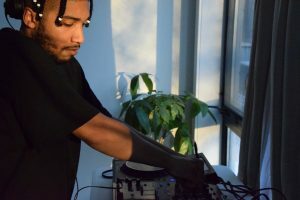 As an activist and first-generation American of Puerto Rican descent, Felton feels a deep connection to his DJ name, which came to life last January. The Black Hole typically closes with one of his crushing sets. Most nights the couple sits down to plan their next event, discussing who they’re going to book, possible venues, and addressing the multitude of other logistics that go into making a successful party. I’d never met such responsible ravers before. Having only seen them in the darker, grungier setting of the techno world, I expect their home to be of a similar nature. But their apartment is clean and bright, giving little indication that they both juggle two full time occupations. Their Italian greyhound mix, Kiley, takes turns fetching her favorite octopus toy and cuddling beside Christina and me on the couch. Felton not only uses his knowledge of underground techno to book talent, but continues to nurture his own passion for playing. He takes time to research labels and lesser known artists in order to maintain a collection of fresh tracks. It’s a painstaking process, electronic music being a singularly evolving genre. Each day a new DJ is breaking out and every minute a new track is released through countless online platforms. When we first met in September Felton and Christina spoke passionately about techno, referring to specific DJs and sounds I didn’t know at the time. I was just discovering my love for techno, which is more than just a genre of music. It’s a movement. As my love for the music has grown I’ve learned about its history and its roots in political activism. Through their events Alkhemy carries that tradition forward. Born in Detroit in the early 1980’s by people of color, techno soon became a direct response to the deteriorating inner city. By the end of the decade, Robert Hood, Jeff Mills, and “Mad” Mike Banks formed Underground Resistance, a political collective whose unyielding sound helped empower poor black communities. Since then the genre has mutated from its sacred, underground expressions of defiance to something more popularly motivated by money and fame. This transformation created broad misconceptions about the roots of techno — not only the music itself but the people behind it. Although already immersed in the music, the couple’s love for techno coincidentally exploded in Detroit, its origin point. After going to the famous Movement Festival in May 2016 they were inspired to curate their own parties. The collective makes it a point to feature standout artists of color. As one of the very few brown underground promoters in Bushwick, they consider it a duty to give those in marginalized groups a platform. “We felt that race was the only topic not being discussed,” Felton explains. When I first met the couple at a bar in Bushwick we discussed the latest parties we had attended and different DJs we admired. “I love this!” Felton erupted. “People of color coming together to talk about techno!” The lack of diversity was something that crossed my mind before, but I had never heard someone speak so openly about it. 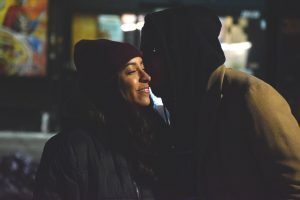 Since deciding to be that voice of resistance Felton and Christina have noticed more people of color taking interest in the music, but there is still much ground to gain. The duo emphasizes that the fight against racial inequality is ongoing and it’s important not to let one achievement be a distraction from the big picture. They each use their Facebook profiles to speak out, sharing videos and articles that discuss systemic racism or addressing the issue themselves through personal posts. On December 5th, the couple posted a screenshot of their PayPal transfer to Friends of Puerto Rico. Fearing that the devastation in Puerto Rico would be forgotten in time, they decided to wait a month after their Fundraver to post this picture. It was an effort to keep the topic alive within their community while also encouraging others to donate when they can. Thirty years after Underground Resistance helped pave the way for Detroit, Alkhemy endures, embodying that explicit force techno once stood for. Miko Ann is a writer from NYC. 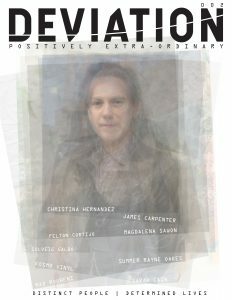 Her work has appeared in the literary journal, Dovetail and the online magazine, Mr. Beller’s Neighborhood. She holds a BA in Creative Writing from The School of Professional Studies at New York University. Her curiosity has taken her to small, unexplored pockets of society. This is where she finds her stories.